The NCAA is the most well-known, but the NAIA and NJCAA also act as governing bodies over their member institutions. There are 3 divisions sponsored by the NCAA: Division I, Division II, and Division III. The organization and division affect the types of scholarships that colleges are allowed to offer and the timeline for recruiting contact. Some swimmers feel strongly about swimming for a school in a particular division and others are open to considering any or all of them. The focus should always be on finding the best fit for your child, not solely on the division in which a school participates. This comparison is intended as a guide to begin your research but is not all-inclusive and you should always check with individual schools regarding their policies. Division I is the most well-known division, partially because these schools tend to have the largest student bodies and the largest athletic budgets. The large state universities with the sports teams with huge followings are most commonly Division I. There are almost 350 Division I colleges and universities which field over 6,000 athletic teams. More than 170,000 student-athletes compete in NCAA sports each year. There are almost 300 Division II colleges and universities. The Division II philosophy focuses on a balance in which student-athletes are recognized for their academic success, athletics contributions, and campus and community involvement. Division II schools are also permitted to offer both athletic and academic scholarships and are limited to 8.1 full scholarships for men and 8.1 full scholarships for women. Division III is the largest NCAA division – approximately 450 colleges and universities and over 170,000 student-athletes. Academics are the primary focus for Division III student-athletes. The practice and playing seasons are shorter and competition is more regionally focused, all in order to reduce the conflicts between athletics and academics as the focus is on being a student first. Division III schools set their own admissions standards. Admissions offices at Division III schools look at all aspects of a potential student, not just as a student-athlete, in deciding whether to admit them. Swimming can help if a student is close academically, but they will still look at the whole student. Coaches can write a letter of recommendation to the office of admissions for a potential athlete. While Division III schools do not offer athletics scholarships, 75 percent of Division III student-athletes receive some form of merit or need-based financial aid. The NAIA is a lesser known association but performs many of the same functions as the NCAA. There are fewer restrictions on the contact between the student-athlete and the coach. The admissions standards are set by the individual schools although students must register with the NAIA to determine academic eligibility and amateur status. The individual schools determine the amount of scholarship money that will be awarded and whether it will be classified as academic, athletic, etc. NAIA schools are limited to awarding the equivalent of 8 full men’s and 8 full women’s scholarships. The NJCAA promotes and fosters two-year college athletics and the schools are divided into three divisions. There are fewer restrictions on the contact between the student-athlete and the coach. A PSA (Prospective Student Athlete) must have completed their junior year of high school in order to go on official visits and/or sign a National Letter of Intent. The admissions standards are set by the individual schools. NJCAA Division I and Division II schools are limited to awarding 15 men’s and 15 women’s scholarships. NJCAA Division III schools cannot offer athletic aid. The fit with the school, the coach and the team, as well as athlete improvement, are all far more important than which division the school is in. When deciding where to go to college, it’s important to know what your goals are – both academically and athletically. There is no “better” division when deciding where you fit in best. 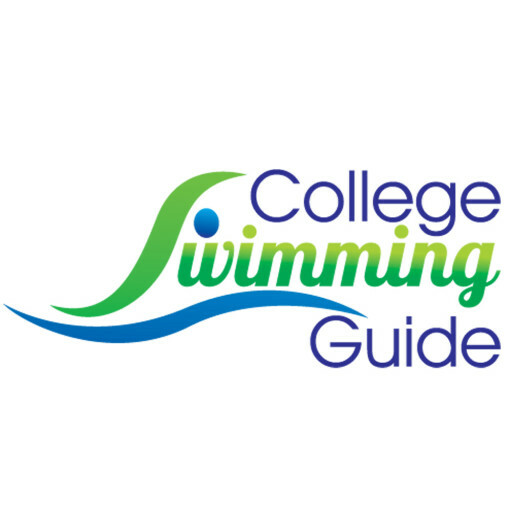 Swimming in college is a one of a kind experience. MAKE it an experience and go somewhere where you can improve and contribute to your team’s success.